I was the only other person in the waiting room. It was early, and there seemed to be enough time to draw at a leisurely pace. At first, the man’s arm was above his head. That didn’t last long. I finished the sketch with the more relaxed pose you see below. I had a chance to add more details to the original outline in this drawing. 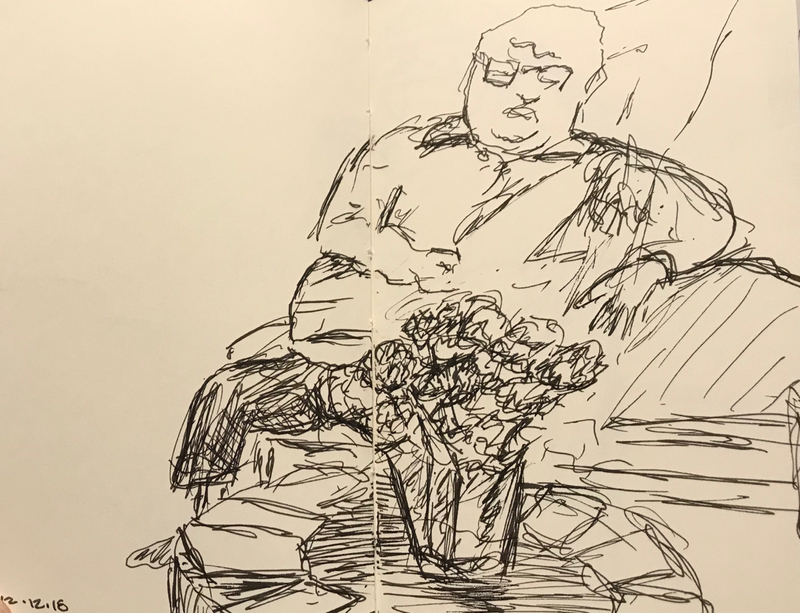 This entry was posted in Personal Stories and tagged art, artistic expression, artistic process, creative process, drawing, pen and ink, portrait, sketch, visual art, Waiting Room. Bookmark the permalink.